Congo is one of of the most appealing safari destination, with many international travelers considering the Democratic republic of Congo a bucket list destination. 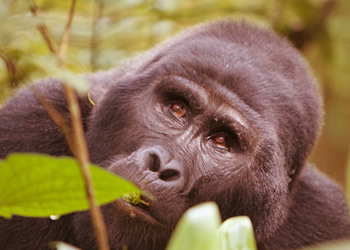 Best destination for gorilla tracking in Africa. In Virunga national park, vsitors have the opportunity to visit 6 habitauated gorilla families gorilla permits going for USD 400 and 200 in the low seasons. Congo is much cheaper than Uganda or Rwanda. 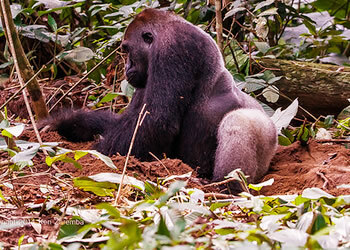 Virunga national park offers a guarantee to see mountain gorillas, with an advantage of watching gorillas with a less crowd. 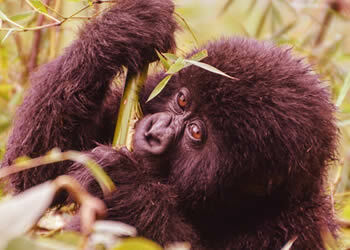 Since few visitors select Congo, travellers in Congo are usually few and enjoy gorillas with less crowd. 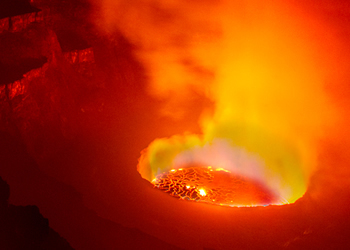 Hiking Mount Nyiragongo – Congo offers visitors a beautiful opportunity to hike the world’s most active volcano to watch live lava boiling in the pit at the centre of the volcano. For many who have had this opportunity, its uncomparable to anything and would love to do it again! Congo is safe – Safety has been the biggest worry for years, and now that Congo is safe to visit, more travelers are considering to visit this beautiful country.